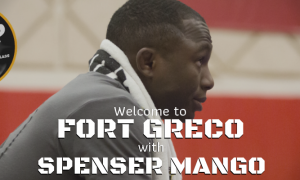 In a wrestling sense, there wasn’t a ton happening this weekend outside of Indianapolis, Indiana, which is where the Schoolboy Greco Roman Duals took place. 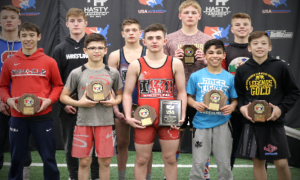 Minnesota showed off why along with Wisconsin, it continues to be a breeding ground for successful future Greco competitors. The “Minnesota 1” team breezed through Pool D and then proceeded to take out everyone else after that. First it was Washington (43-34); next up was the always-tough Illinois squad (45-28); and then it was a razor-thin 39-37 victory over Colorado “Red” to clinch first place. It’s probably not a shock at this point, considering Minnesota’s long-running history at pretty much every age group, but it is certainly an accomplishment worth noting. So congratulations to the Minnesota Schoolboys and to all of the athletes who participated, as well. Gotta start ’em young! The US Greco Roman Olympic squad arrived safely in Baku, Azerbaijan early yesterday. We’ve covered this practically to death by now, but the Americans will be in Azerbaijan for three weeks for a pre-Olympic training camp. Remember – this is actually pretty important. It is where the wrestlers will be able to get a whole ton of live action in against international partners. 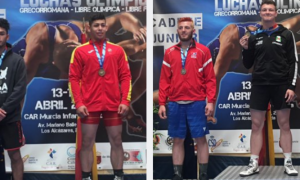 Unlike the freestyle team that just took fourth in the World Cup and have another event in July, the Greco guys don’t have any other competitions lined up before Rio. That means they have to make the most of this phase of their training cycle. 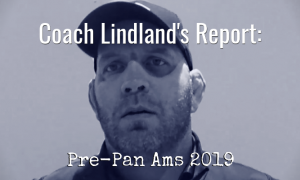 We should have a fair amount of updates throughout their time overseas (including Coach Lindland Reports) and there also might be some other stuff brewing, so stay tuned. 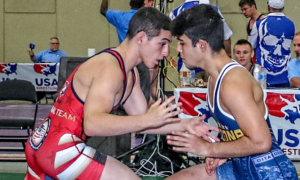 Before the Superior International Camp wrapped up a couple days ago, a dual meet was held inside of “The Dome” between a collection of Team USA Juniors and athletes from Sweden. 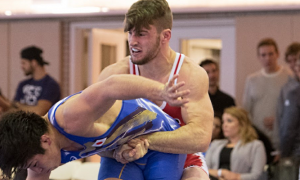 The US team came away with a 9-3 victory thanks to strong performances by Dalton Roberts (59 kg), Jamal DeArmond (69 kg), Kamal Bey (76 kg) and G’Angelo Hancock (98 kg). The Juniors will now be training at their respective “home clubs” (aside from Hancock, who is in Azerbaijan) for the next month or so before heading out to Colorado Springs for more work in advance of the World Championships in August. We were supposed to premier our interview with Joe Betterman at the end of last week but wound up holding off. Why? Two reasons. First of all, we had failed to take into account the World Cup in LA over the weekend and didn’t want it to get lost in the shuffle (my bad–Ed.). And secondly, there was one area of interest in the piece we wanted to revisit with Mr. Betterman and get his take on before we rushed to publish the thing. So there ya go. It should be available in a couple of days, try and keep your shirts on. 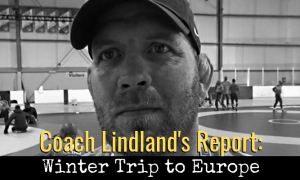 Then start sending your questions in for this week’s Coach Lindland’s Report! You can email them right here ([email protected]) or drop them in on our Facebook, take your pick. But if YOU have questions or comments for the coach, get them in. It’s been a couple of times now that folks are missing the deadline (which is Tuesday afternoons) and then their questions are out of context the next week and unable to use. So be creative, be honest, but most importantly, be timely.